The world of van life is so popular right now; all you need to do is open Instagram and enter the world of van life influencers to be inspired to get a tiny home of your own. So many vandwellers are rejecting the old fashioned camper van which can be big, clunky, poorly designed and slow, and are paving the way for a tried and tested model: The Sprinter Van. Living the sprinter van life is becoming more and more popular, and we can see why. They’re easy to drive, reliable and, let’s face it, they look pretty cool. We’ve already shown you this sprinter conversion moving house, how to live the Darkstar van life in this Darth Vader sprinter conversion, and an epic off grid conversion in the Mercedes Benz Sawtooth. 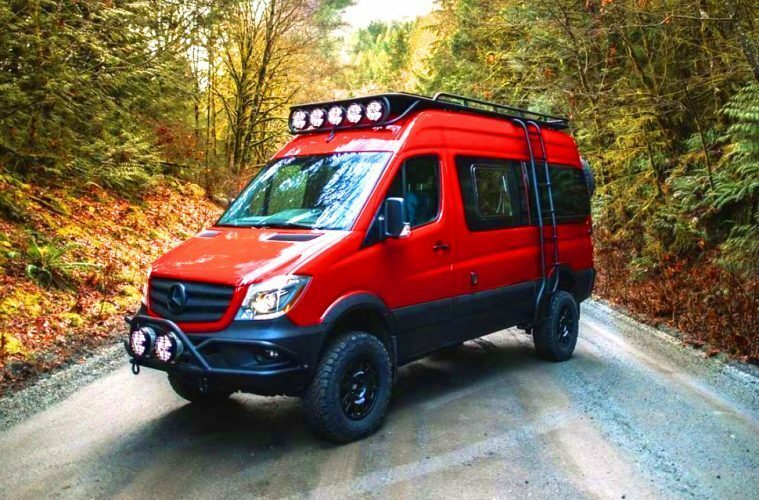 If you need any more proof that Mercedes sprinter conversions are the best companion to any off grid adventure, then you better read on! Learn Why Sprinter Van Life Is The Future Of Alternative Living! Whether you’re a weekend warrior or are looking at delving into full time van life, living the sprinter van life could be the way to go. 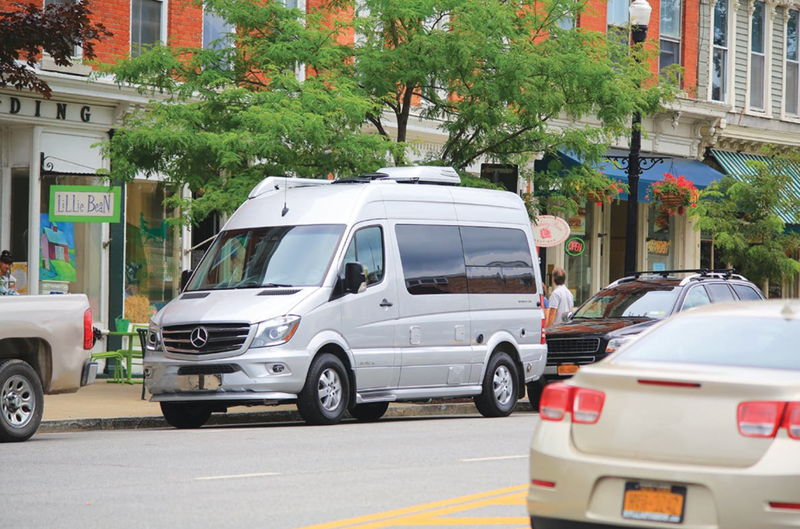 One of the most appealing things about sprinter van life is that sprinter vans drive just like a car – minus the rear view mirror. They’re smooth to operate and can tackle even the steepest of roads, meaning you can take in the most breathtaking views without worrying about the accent. Sprinter vans can be driven on a regular driving licence, so there’s no need to take an extra test to start living the sprinter van life. Mercedes is also one of the biggest car companies in the world – they’re thoroughly tried and tested, and the sprinter van comes out on top time and time again. You won’t find a better van out there and, if anything does go wrong, they’re a worldwide vehicle – you won’t ever be stuck waiting for an obscure part to arrive! Sprinter van life is an excellent option for any outdoorsy person who wants to stop having to rent an RV and get a camper of their own. There are several ways to purchase the perfect van to start your sprinter vanlife. You can buy a van that has already been converted from motorhome moguls such as Hymer, an option that will give you a high-end commercial conversion in a brand new sprinter van. Secondly, you could by a sprinter van and seek out someone else to do the conversion for you. 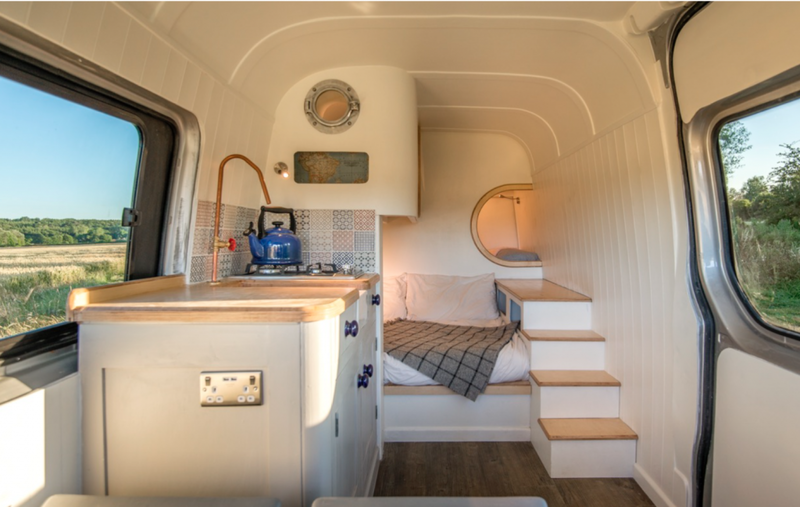 There are so many companies doing amazing campervan conversions out there such as Outside Van, who can turn your vision into an amazing tiny house. Or, thirdly, you could complete your own camper conversion. Doing your conversion is undoubtedly the most budget-friendly option as you are not paying someone else to complete the work for you, but it also takes a lot of time. If you do decide to complete your own conversion in order to start living the sprinter van life, there are so many fantastic van life ideas and vanlife tips to help you on the internet. So many people have created affordable tiny homes out of their sprinter vans that there is no reason why you couldn’t do it too! Planning is critical if you decide to convert your own van and start living the sprinter van life. Think about what would be a van life essential for you and look at other tiny homes in order to get the most out of your space. 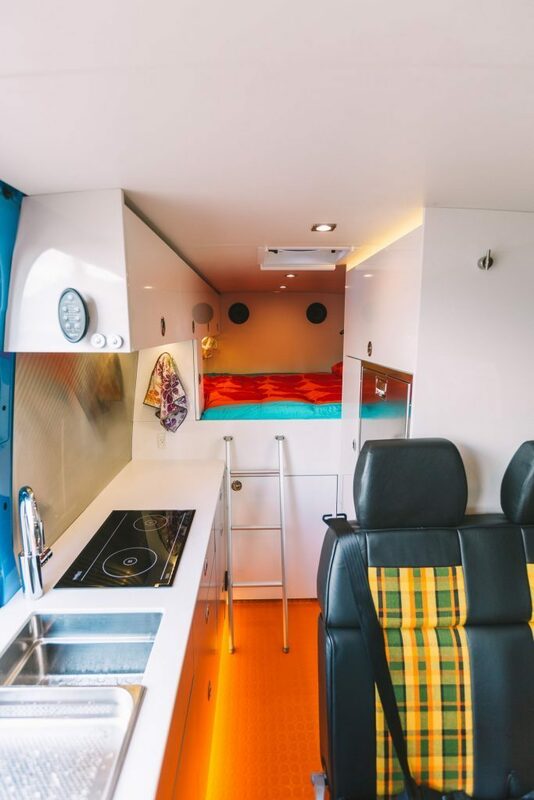 Through building out your own van, you get to decide everything about your new camper, from the layout and the colour scheme, to the materials used and the budget set. If you have a larger budget or don’t want to tackle the monster task of a campervan conversion then working with a company is a great route to take. Minimal effort on your part bit still the epic design you had envisioned – what’s not to love?! Sprinter van life is also a great option for any digital nomad wanting to live full time in their camper while living and working in a city, or for those who love exploring new city’s and being in the heart of the action. This is because Sprinter vans can be made to be stealth campers so, if you choose sprinter van life, you will be able to park inconspicuously in any city parking available. Many sprinter vans can be seen in any city as they are often used as work vans, delivery vans, builders vans, or as minibuses. 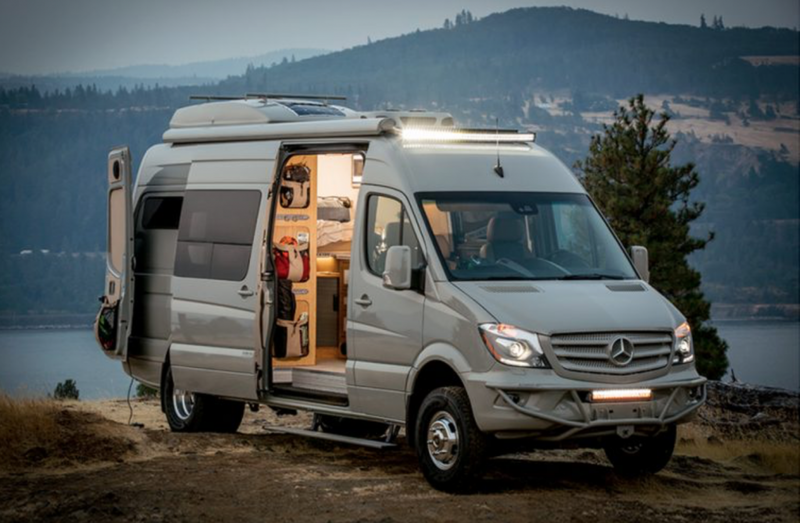 By choosing sprinter van life, you will be able to blend in with all of these vehicles; less money spent on campsites means more money for exploring. However, if you want your van to be stealthy, there are a few things you’ll need to consider before your conversion. Windows are the most obvious giveaway that your sprinter is a campervan, but not having any makes for a pretty dark interior. To get around this, you could put skylights into your conversion as these can’t be seen from the ground. The other option is putting windows where they are often found on some work vans- the back doors or the sliding door for example as this allows your vehicle to blend in better. Another thing to think about when embarking on stealthy sprinter van life is dividing your living space from the cab of your van. This can be inconvenient, but it does mean that your interior can’t be seen through the windscreen, making you much more stealthy. If this is an option for you, then you want to make your cab as dull as possible- just like any other sprinter van. Finally, think about the colour of your van; keep it plain and boring, black white or silver and no decals to give the game away! Another benefit of sprinter van life is that a sprinter van can turn into a great off grid home, meaning less time needs to be spent in a campsite plugged into the mains electricity. No matter how outdoorsy and adventurous you are, electricity certainly makes life easier, and this extends to vanlife in general. Having a good supply of energy in you van means that you can have lights on, a fridge and, of course, charge your phones, cameras or anything else you may take with you on an adventure. The need to plug into the mains electricity is one of the main downfalls of a more traditional motor home as it means you always need to be parked in a campsite where this is possible. However, if you decide to live the sprinter van life, which is more customisable through conversions, you can have a solar system installed into your van. Solar panels and are a great way to make your sprinter van life off-grid, paired with a split charge relay and you’ll be sorted even on the cloudiest of days. Having an off-grid electricity system means that you can spend longer in the mountains or by the ocean, living amongst nature and truly soaking it all in, without worrying about if your phone might die or the need to remember to charge battery packs before you set off. The other main thing needed to make your sprinter van life off the grid is water. You’ll want to be able to carry enough water for a week or more. The best way to carry large amounts of water is to fit an under slug water container as it won’t take up any room inside your conversion. Alternatively, you can store reasonably large canisters within your van that will keep you off the grid and exploring. With a porta-potti or a spade and some biodegradable toilet paper, you’re good to go on your off grid adventure! Larger, traditional motor homes or RV’s can struggle to get to remote locations. They might be too big for narrow, twisty mountain roads, too heavy for steep inclines or too clunky to tackle the potholed dirt track to the most deserted locations. But this isn’t a problem with sprinter van life. Sprinter vans can easily be fitted with off-road tyres and have their suspension raised to turn them into 4×4 vehicles, making a dirt track feel like the smoothest road. Even without these added upgrades, you’ll find a sprinter van can tackle most roads, and certainly more than a motorhome would be able to. This gives you more freedom to explore and roam the countryside without having to worry about whether or not to go down the less used roads. Finally, and one of the best things about sprinter van life is the ease of parking. Once you delve into vanlife, you come to realise how much time can be spent looking for somewhere suitable to park, especially if you’re visiting a city. By choosing sprinter van life, you open up so many parking options that wouldn’t be open to you if you wanted a classic motor home. A sprinter van is not much wider than a regular car and even a long wheel based van will usually be able to fit within a parking space with just the back overhanging. This makes vanlife so much easier and the hunt for a parking space less stressful. Sprinter van life is a great way to jump into the world of vanlife or as an upgrade to your current van. Sprinters are the perfect companion to any adventure and can take you to places that a classic motorhome wouldn’t be able to. 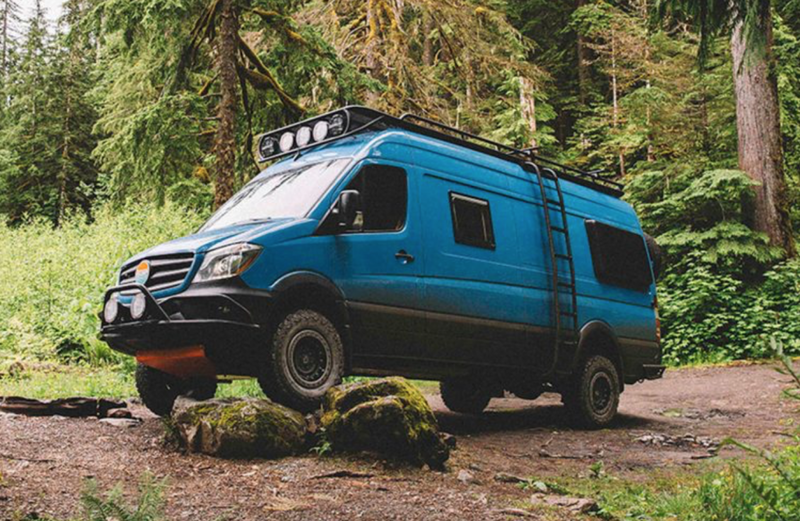 We love seeing all of the cool sprinter conversion out there and things they’re a great way to get creative and build out your dream adventure rig. Sprinter van life is definitely the way forward and will enhance your camping trips in a way no other van will. Let us know what you think about sprinter vanlife on Facebook, Instagram and Twitter. Check out the top vanlife blogs that you should be reading this year! We tested out this van life clothing range and reviewed some of their newest products!